The colour of your front exterior door is more than just a decorative statement. The impact of colour is instant, powerful and conveys an expressive message. Provided that you have chosen based purely on preference; that choice often reveals your distinctive design, values and the space you thrive in. Yellow is welcoming, optimistic, inviting, energetic, and fun loving. It is the colour of the mind and intellect with a zest for life. Being a social colour; you just know that a whole lot of stimulating, friendly conversations and celebrations grace this home. You can expect warm-hearted activities and an atmosphere full of vitality behind an orange door. The vibrant colour of fire, strength, and passion is hard to ignore. Energetic, courageous, ambitious, fearlessness and outgoing enthusiasm for life are associated with red. People that chose purple experience unique, fresh perspectives with a slightly eccentric flare. Helping people and treating friends like family creates a welcoming ambiance. You would find a relaxing atmosphere behind a blue front door with a focus on peace, stability and harmony. There is a desire for a clean, tidy home and a desire to live according to principles. The nature inspired green door represents strong traditional values, safety, tranquility, balance and prosperity. People draw to green tend to be good at learning and understanding new concepts due to the ability to grasp the main idea. Walking through the threshold of a brown door reveals a home with an easygoing, down to earth, comfortable atmosphere. Enjoying the simple and small things in life is sure to bring family and friends close together. A grey exterior door reflects a conservative, composed and reliable approach to life. A desire for security and practically are common traits for those who prefer grey. A black colour preference signifies dignity, strong design tastes, modern values and balance. This door displays a timeless, elegant statement. 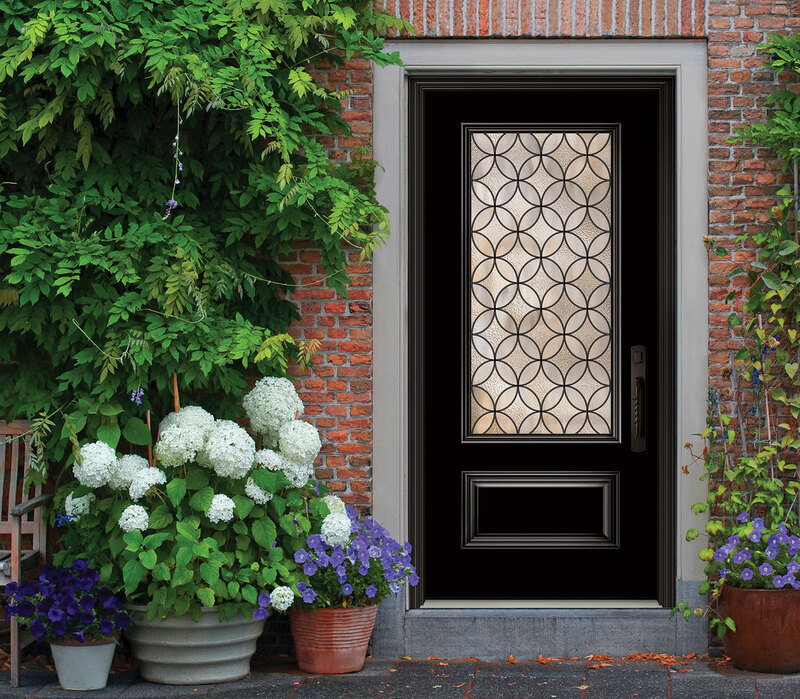 People choosing a black door, possess an air of authority, mystery and careful approach with details in their life. Peaceful, simplicity, independence, self-reliant, organized, neat and clean are traits common to the homeowner of a white door. It is a favourite colour for design-focused modernists with a desire for less clutter. Of course, there are variations to the colours listed and character trait results are based on statistically significant studies. Whether you gravitate towards soothing neutral colours or strong contrasting bold statement colours, finding that perfect colour that accents your home can be fun and revealing. It is uncanny how similar individuals gravitate toward similar colour palettes. Perhaps, colour theorists are onto something.